Support your mission with our easy-to-use donor module. Solicit and accept donations online and track donors in your SAM database. Research, record, and manage grant proposals. See real-time donation stats, create reports with a few clicks, and engage your base with personalized emails, letters, appeals, newsletters, events, and more! Import existing donor records from a previous database or excel into SAM and easily create new ones. Our system will automatically create new records from online donations, or match to existing records. Search and find donors with a few clicks and view their donation history and affiliations. Collect one-time or reoccurring donations online through personalized donation forms. Create unique forms for specific campaigns or events and share them with your base. Credit card donations are processed securely via Auth.net. Manage fundraising prospects and active grants with customized grant checklists and reports. 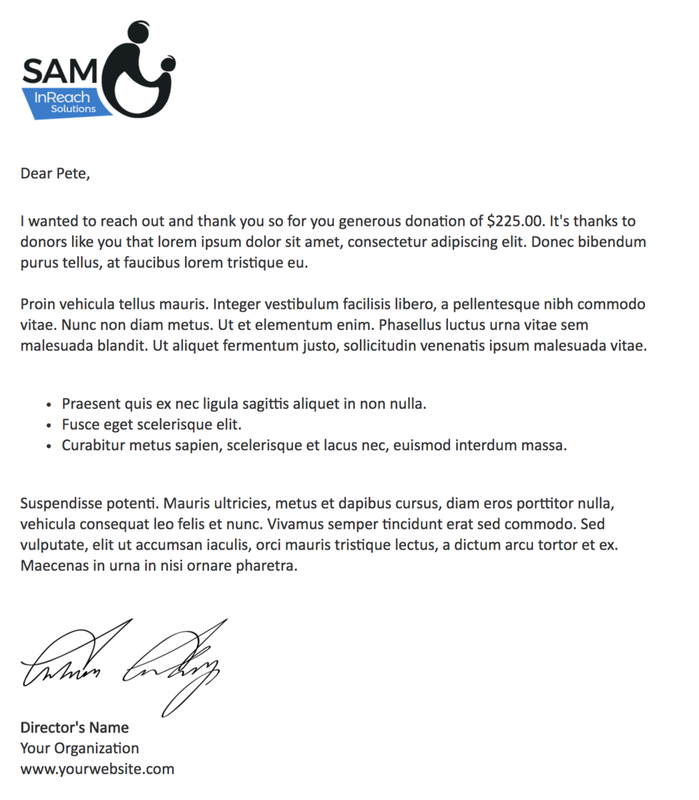 Create and send thank you emails or letters customized with names and donation amounts, send yearly giving reports automatically, or send donor newsletters with SAM templates. Manage your annual gala, auction, or donor recognition event with SAM events. Create online RSVP forms, process event payments, and send reminders to attendees.